Earlier this summer, we announced the names of each of the 2016 180 Medical College Scholarship recipients. This year, there were so many deserving candidates with inspirational backstories and exciting goals, whether to be able to return to school after a long absence in hopes to renew a career path or just starting out as a college freshman with dreams of being able to help others with their future job. We are truly honored to be able to help these seven students get a little closer to their goals. We will continue to feature each one of our recipients on our blog, so sign up for our newsletter so you can get notified every time we publish a new blog. Previously, we have featured Macy, Jared, and Tiffany. This week, meet Spencer! Spencer was born with Spina Bifida, but he feels that his parents helped him from the beginning to see his own potential. They kept him signed up for sports where he played alongside able-bodied children, and then later he found an even greater joy in wheelchair basketball. Wheelchair basketball began to open doors for me that I never thought possible. I could compete like I always wanted to, and I had friends who were just as determined as I was to succeed despite limitations. 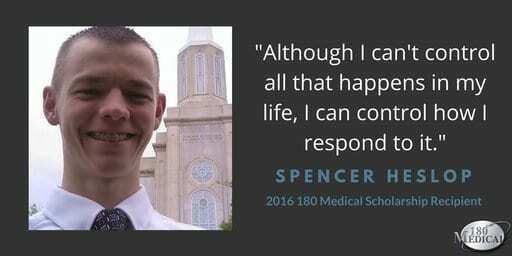 After his freshman year of college, Spencer served as a full-time missionary for two years and then returned to school to continue his sophomore year. 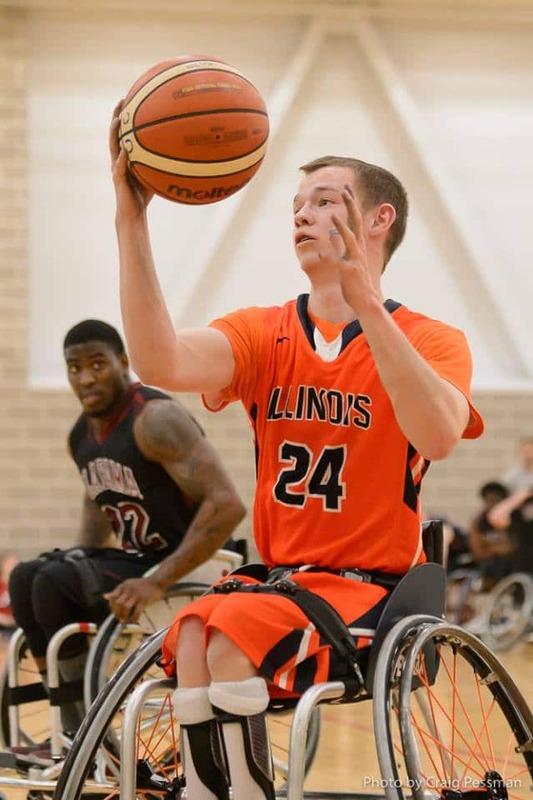 While he focuses hard on maintaining his high GPA, he also makes time to hold a leadership position at his local church group on campus and is also proud to be a member of the University of Illinois men’s wheelchair basketball team. As of this fall semester, Spencer is in his junior year of college, pursuing a degree in Integrative Biology. He has an optimistic, determined spirit, and we wish Spencer all the best as he continues to work toward his goals in life. 180 Medical is honored to offer an annual scholarship program to help those with spinal cord injuries, spina bifida, transverse myelitis, ostomies (ileostomy, urostomy, and/or colostomy), and/or a neurogenic bladder. We know paying for college isn’t easy these days, and we also understand that there can often be extra financial difficulties for aspiring students who live with these conditions. That’s why we created this program. To learn more about our annual College Scholarship, visit our Scholarship page. We’ve officially announced the seven recipients of this year’s 180 Medical College Scholarship program. Follow along as we continue to feature each recipient and some of their inspiring stories on our blog. We’ve announced the seven recipients of this year’s 180 Medical College Scholarship program. As we get ready for a new year of potential applicants in 2017, read more about the story of our last 2016 recipient, Marina. We’ve announced the seven recipients of this year’s 180 Medical College Scholarship program. Follow along as we continue to feature each recipient and some of their inspiring stories on our blog while we get ready for a new year of potential applicants in 2017.